Who is the Childminding Development Grant for? Childminders, grandparents, relatives etc. who provide a childminding service in their own (childminder’s) home, or those planning to set up a new childminding service. The grant is not available to childminders caring for children in the parent’s home. What do I have to do to be eligible to apply for the grant? You should be minding or intend minding a minimum of 2 children. At least 1 child on a full time basis(f) and 1 child on a part time basis or at least 3 children on a part time basis(p). You can apply for the grant in preparation for minding new children but the grant cheque can only be paid when you have started your childminding business. What do I have to do to be eligible to draw down the grant post approval? Organise insurance cover for your childminding service. 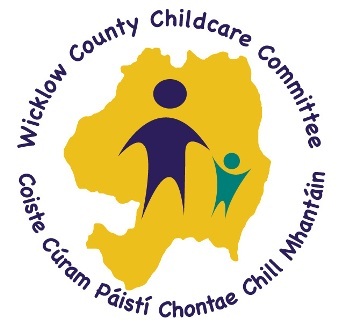 Are voluntary notified to the County Childcare Committee or notified to TUSLA, whichever is appropriate (see overleaf) or willing to notify as appropriate. Meet eligibility criteria but who have never received a grant previously. Will increase the number of childcare places particularly in areas of high unmet childcare demand. Care for the greatest number of children. Regular attendance at training or networking events. Childminders can voluntary notify their childminding service by completing a self-evaluation form and fulfilling the requirements of 4 nationally recognised core areas which look at the attributes, knowledge and skills of the childminder: suitability of the person, wellbeing of the child, physical environment and health & safety. What is Registration with TUSLA (Child & Family Agency)? If you are caring for 4 or more preschool children at any one time you must register your childminding service to TUSLA, contact the Early Years Inspector on 01 282 2122. How much money can be applied for? 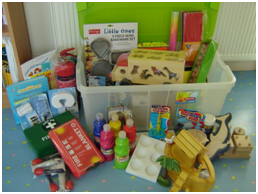 Childminders may apply for 90% of the cost of items that are approved for funding up to a maximum of €1,000. e.g. if items cost €1,111 you may receive a grant of €1,000; If items cost €555 you may receive a grant of €500. The CCC suggests that no more than 33% of the grant should be spent on consumable items e.g. paint, play sand, art & craft materials etc. The grant is paid to the childminder retrospectively for receipted items purchased i.e. when the application is approved, items can then be purchased and the receipts for the purchased items are to be sent to the CCC for reimbursement. Childminders who commit to operate for 2 years are eligible to apply for the maximum grant of €1,000; 1 year’s commitment is required for funding up to €500. Due to a limited budget available to the CCC, there is no guarantee that childminders will be approved for any/all items in their application. How does the grant work? Decide on how funding could best improve your childminding service. Get a quotation for all items to be purchased by checking catalogues for prices or visit safety, childcare equipment and toy shops. Complete an application form and submit it to WCCC. Your application will be appraised by WCCC whose recommendations will be sent to Pobal. Pobal will review and return a list of approvals. Don’t buy anything yet. Items already purchased cannot be considered for the grant. No purchases should be made until your application has been approved. You should be minding or intend minding a minimum of 2 children. At least 1 child on a full time basis and 1 child on a part time basis or at least 3 children on a part time basis. (You can apply for the grant in preparation for minding new children but the grant cheque can only be paid when you have started your childminding business). When your letter of agreement has been returned to WCCC you may then purchase the items approved for funding. It is essential that you retain the original receipts as the grant cheque can only be issued to you when these receipts are forwarded to WCCC. If you cease to operate your childminding service within the agreed timeframe WCCC may seek to recoup the value of the grant approved. What can I spend the money on? Safety items – fire blanket, fire extinguisher, smoke alarm, socket covers, cupboard locks, first aid kit, stair gate, fireguard, car seat etc. Childcare equipment – changing table / mat, sterilizer, double/single buggy, cot, sturdy child sized table & chairs, booster seat, step up stools, potty, foot operated bin, storage etc. Indoor/outdoor play equipment – swing, slide, climbing frame, sand box, ride on toys, building blocks, art & craft supplies, appropriate toys for various age groups, books etc. Minor adaptations – changing area, outdoor play space etc. What is the closing date? Funding is now closed for 2018. If I previously received a CMDG can I apply for one now? If you previously received a Childminding Development Grant under previous schemes you may still be eligible for funding. If your last funding draw down was less than 2 years ago then you are not eligible to apply this time. Contact WCCC for more details. You should be minding or intend minding a minimum of 2 children (At least 1 child on a full time basis and 1 child on a part time basis or at least 3 children on a part time basis). (f) A place should be counted as full-day care/full-time if it is (a) available continuously for more than 5 hours per day, and (b) is in a facility that is notified to TUSLA as providing full day care. Full day places can only be available to pre-school aged children. (p) A place should be counted as part-time if it is available for more than 3.5 hours and up to (and including) 5 hours continuously.